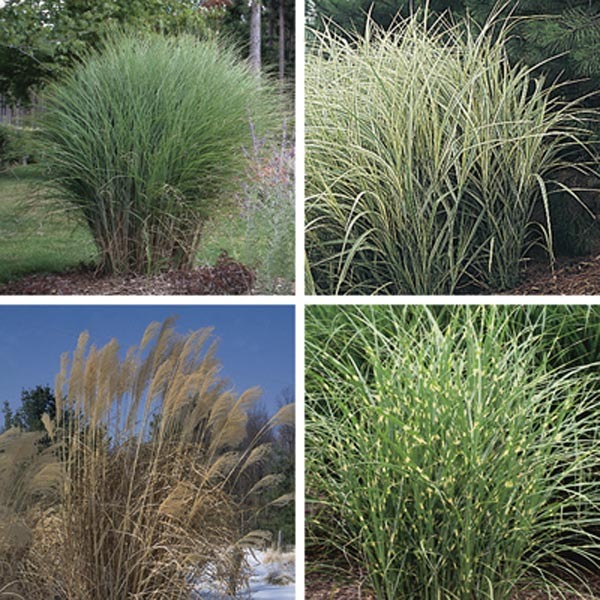 Grasses are one of the easiest, most carefree plants to grow. 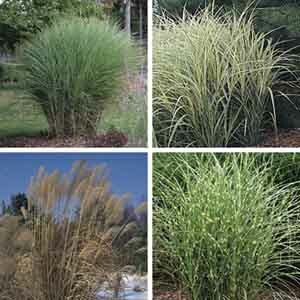 The Miscanthus types of grasses offer a wide array of beautiful foliage colors, forms and textures. There is sure to be one for nearly any location or need. The dry foliage adds winter interest in the landscape and provides nesting material for birds in the spring. The plant will need to be cut back to the ground at the first signs of new growth emerging. Extremely tolerant of difficult hot, dry locations. An excellent specimen, foundation, or border plant. Creates a pivotal accent point in any garden. Provides dramatic color and form to autumn and winter landscapes. Adapts to most soil types. Keep well-watered during hot weather. Cut back in early spring as new growth appears. Protect from excessive winter moisture.